Pat grew up playing baseball and football then began dabbling in endurance sports as a college junior. After his first (and only) stand alone marathon in 2000 went famously wrong, he swore off running altogether only to come to his senses several months (and pounds) later. 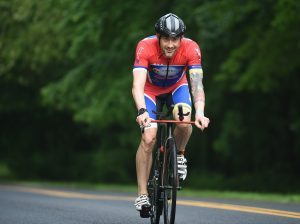 He attempted his first triathlon, Capital of Texas Sprint, in 2003 on something of a whim, using a rented wetsuit and his campus beach cruiser, and was instantly hooked on the multisport lifestyle. He upgraded his gear and began training a little more seriously, racing all distances from sprint to IM between 2003-2015 before taking a couple years off from racing while stationed in Japan. 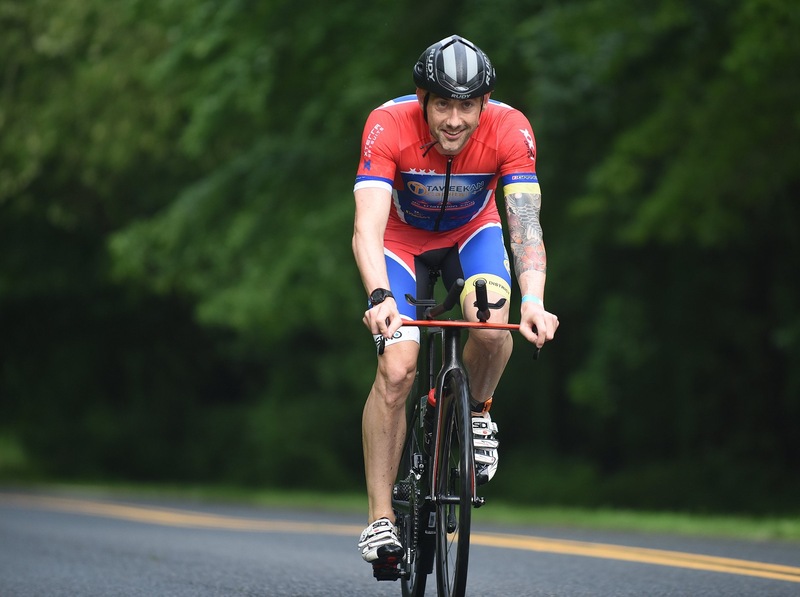 Pat moved to D.C. in 2017 and quickly found the D.C. Tri Club. 2019 will be his second year racing with the elite team after a successful freshman campaign in 2018. He loves racing all distances but prefers the Olympic and 70.3 distances. Favorite Places To Train: Riding in the Sierra Nevadas and Yamaguchi Prefecture, Japan, and my all-time favorite place has been College Station, TX, which is where I first got into triathlon. Fun Fact: I have two tattoos? 229 queries in 2.204 seconds.